#CameraComparision: ASUS wins in daylight photography. Xiaomi comes out on top in bokeh shots. In low-light shots, both are equally bad. ASUS launched its latest 'made in India' budget smartphone on 23 April. 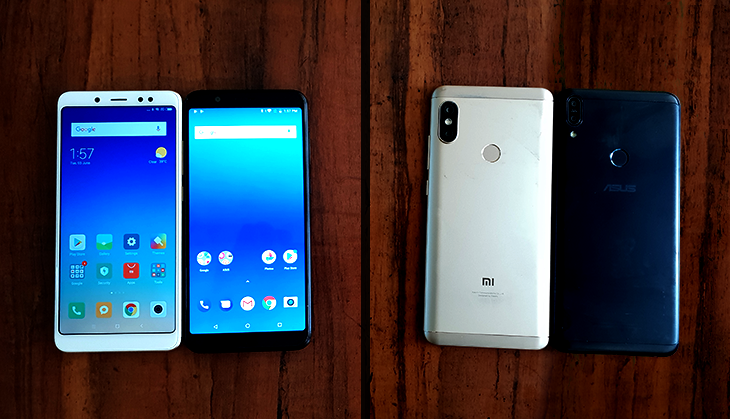 The Zenfone Max Pro M1 (yes, it is a mouthful) is the only true competitor, as I wrote in my review (www.catchnews.com/science-technology/with-the-zenfone-max-pro-m1-asus-has-the-only-real-competitor-to-xiaomi-s-redmi-note-5-pro-116647.html). In my review, I did a brief comparison between the two smartphones. In this comparison, we are going to focus only on the rear cameras, as that is an important part of one's decision when purchasing a brand new smartphone. In this article, I will refer to the ASUS Zenfone Max Pro M1 simply as the M1 and Xiaomi Redmi Note 5 Pro as just the Note 5 Pro. Why these two phones you may ask? Well, for a long time now, Xiaomi has dominated like no other. The main reason for the dominance in the budget segment of the Indian smartphone market is due to the lack of good competition. Xiaomi, with its huge portfolio of smartphones (sometimes we lose count as to how many have been launched), has a mobile phone that will suit just about anyone. In 2018, things are finally changing. ASUS has come out with a worthy competitor (also, a couple of thousand rupees cheaper) to the Note 5 Pro. Why not talk about the front-facing 'selfie' camera? Well, if that is your only priority, then save some money and look no further than what Xiaomi launched - Redmi Y2 - on 7 June. Before we get into the detailed comparison, let's just take a moment to details the specifications behind the camera. Note 5 Pro: It's a dual-camera setup. 12MP f/2.2 lens + 5MP f/2.0 lens with LED flash and Phase Detection Autofocus (PDAF). M1: A different kind of dual-camera setup: 13MP Omnivision 16880 f/2.2 lens + 5MP f/2.4 lens with LED flash and PDAF. The Note 5 Pro has a noticeable camera bump while the setup on the M1 doesn't protrude out at all. In favourable lighting conditions, it's the M1 that comes out on top thanks to its colours being more vibrant. 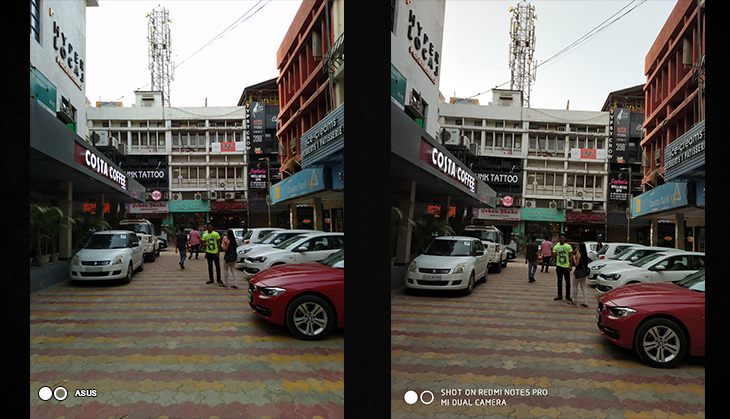 Details on the shots are almost identical but in some cases, we've noticed the M1 edging the Note 5 Pro and that is a commendable job. 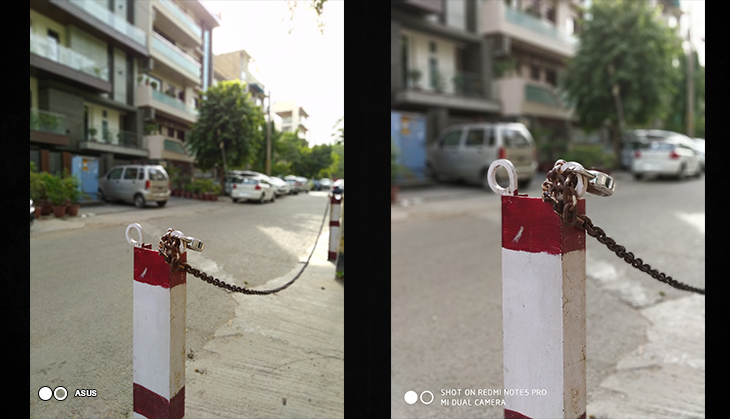 Where the Note 5 Pro wins, by a huge margin, is in the bokeh shots. Bokeh photos are those where the subject is in focus and the background is blurred. Night time, well, I'm not even going to get into that. Note 5 Pro wins once again, and the fight isn't even close. The sharper and more detailed photos come out on the Note 5 Pro. The M1 produces blurry photos or ones that lack any detail. Lastly, the Note 5 Pro also wins in the app department. The M1's camera app feels a little clunky and is challenging to use for even some of us technology journalists out there. There is also no 'Pro Mode' on the M1 and that's another negative. 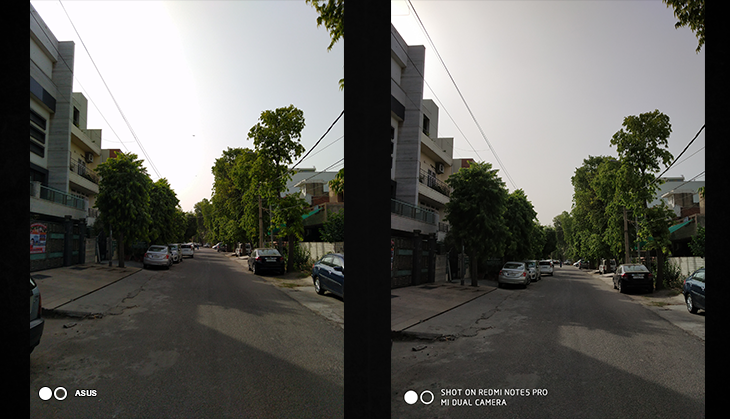 The Note 5 Pro wins for its easy to use and easy to understand camera app. 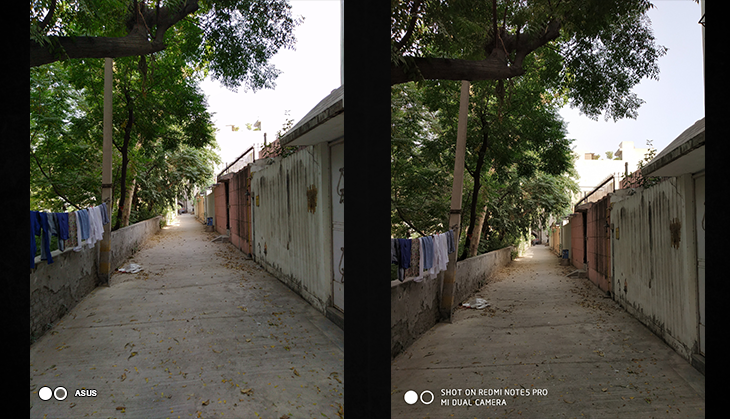 Overall, it really comes down to preference, if choosing between the two smartphones purely based on their camera capabilities. I said in my review that the M1 is a better value-for-money smartphone and that the industry needs good competition. The Note 5 Pro still stands tall. There is little separating the cameras here, but let's just hope that these smartphone manufacturers take the competition to the next level whenever their successors come out. 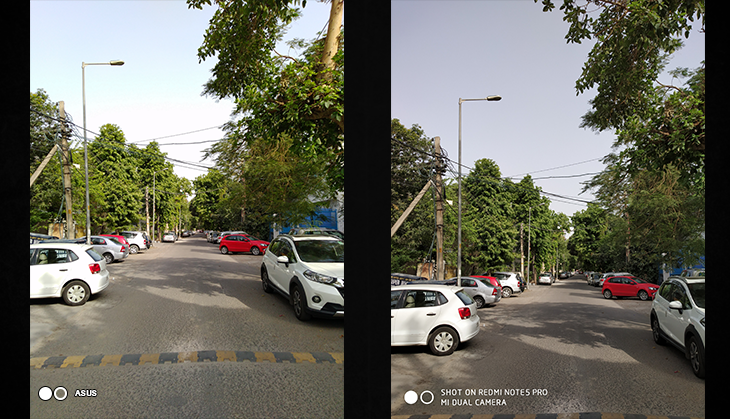 TWEET THIS ASUS takes on Xiaomi's Redmi Note 5 Pro with the Zenfone Max Pro M1 and matches it in the camera department #CameraComparision: ASUS wins in daylight photography. Xiaomi comes out on top in bokeh shots. In low-light shots, both are equally bad.